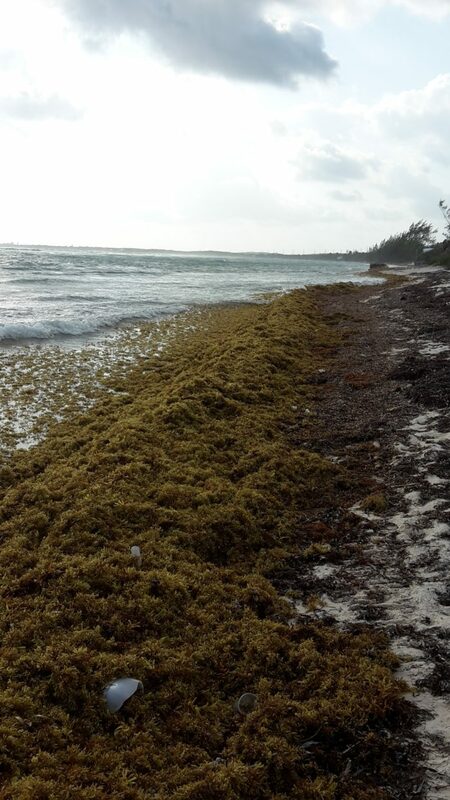 Given the recent wind direction changes, many beaches around all three islands are currently experiencing a large influx of Sargassum seaweed particularly along the south coasts. In recent years higher than normal Sargassum blooms have occurred in particular areas of the Atlantic where nutrients are available and water temperatures are high. Sargassum consolidates into large mats and is transported by ocean currents towards and throughout the Caribbean. Whilst its presence can create a nuisance for water-based recreation and leave an unpleasant smell when it starts to decompose, Sargassum is an important nursery habitat that provides shelter and food for endangered species such as sea turtles and for commercially important species of fish. Recognising the challenges that Sargassum seaweed presents to property owners and the tourism industry in general, the Department of Environment (DoE) has published guidelines to provide guidance and good practices to be applied if removing Sargassum from beaches. Any attempts to clean Sargassum must be undertaken extremely carefully as its removal can have a very destabilizing effect on beaches and can result in worsened erosion through the removal of sand, particularly if machinery is used. Least intrusive practices for collecting Sargassum are preferred – hand raking is preferable to the use of machinery. Removal of Sargassum by mechanical means cannot be undertaken without consultation with the DoE and issuance of a letter of approval, which will outline any conditions to be followed. “Given that we are in the active turtle nesting and hatching season, it is critical that no machinery is taken onto any beach without DoE approval” advised a DoE spokesperson. Permission is not required from DoE for raking the beach. 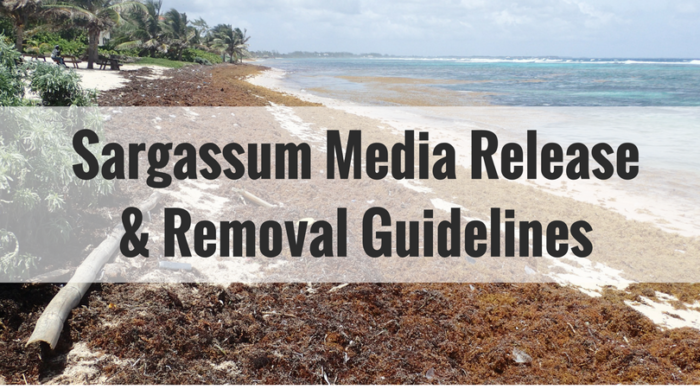 To view the Sargassum removal guidelines or download a copy of this media release, please click the buttons below.